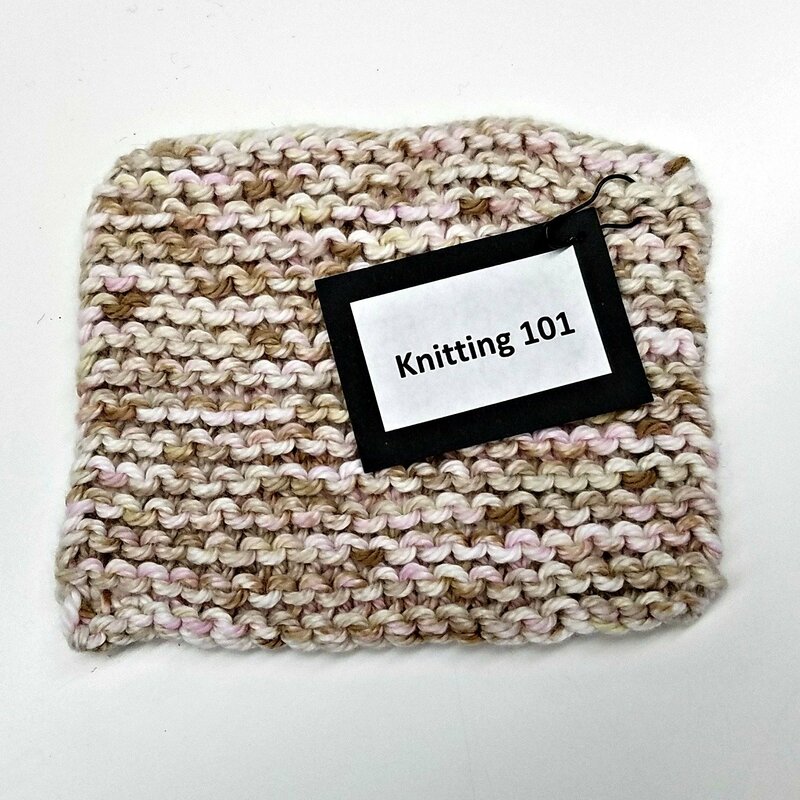 In Knitting 101 we will learn the basics like the knit stitch, casting on and binding off. We don't have a project in mind (we like to call it a bookmark or coaster if you are really ambitious), but at the end of class, you will be sent home with our full "Learn to Knit Kit" that includes hours of instructional videos. Please note that this class is taught using the English method of knitting (yarn is held in the right hand). All class fees do not include materials (unless stated otherwise). Class reservations must be made 24 hours in advance, walk-in not available. If you are unable to attend the class, please let us know at least 24 hours in advance. Classes are non-refundable, but if you notify us of your absence, we can transfer the cost to another class. Thank you!